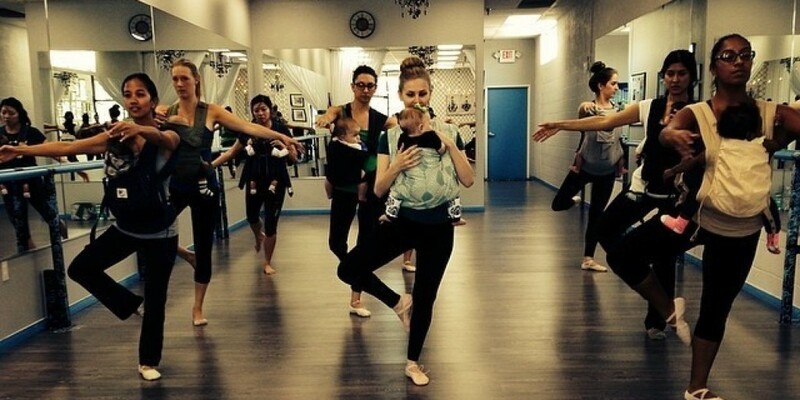 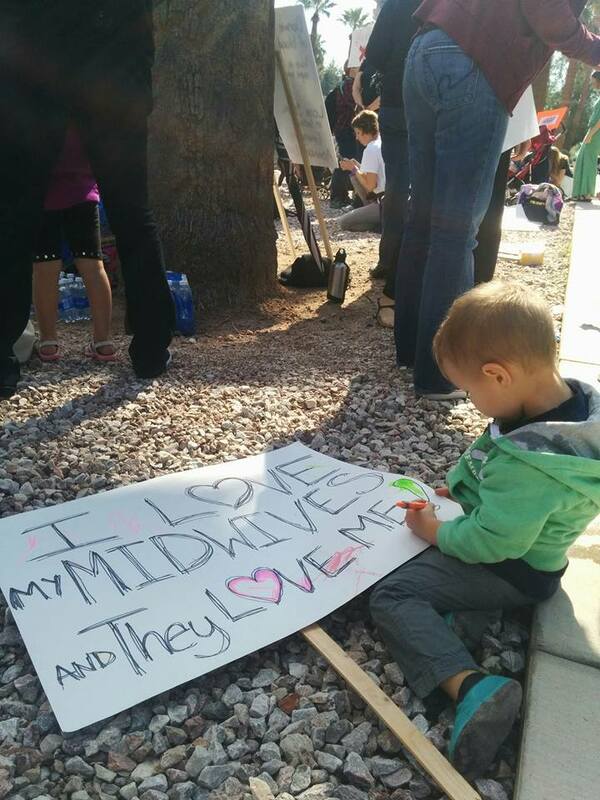 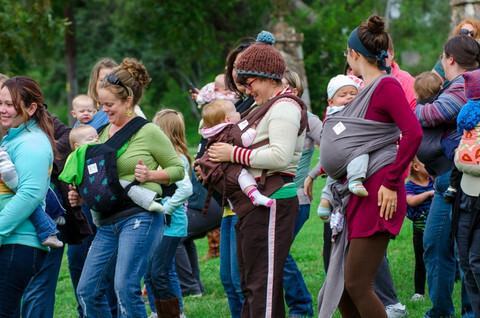 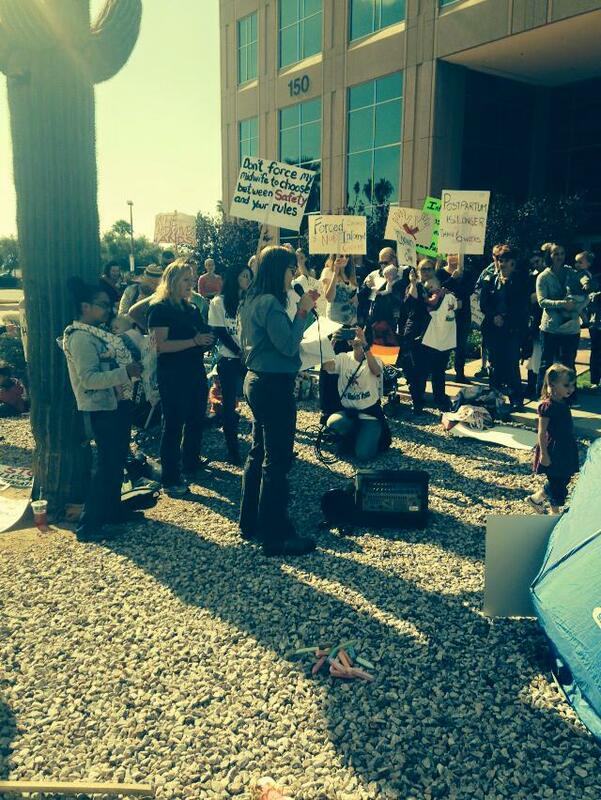 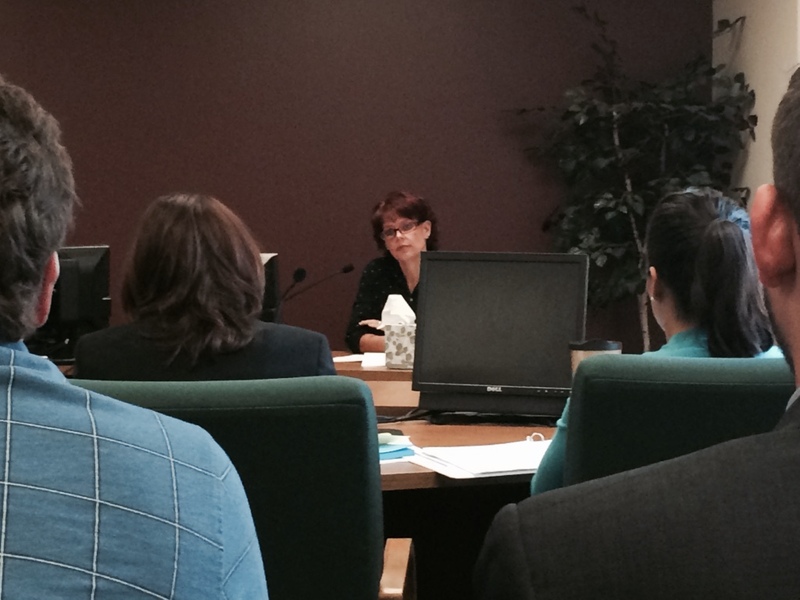 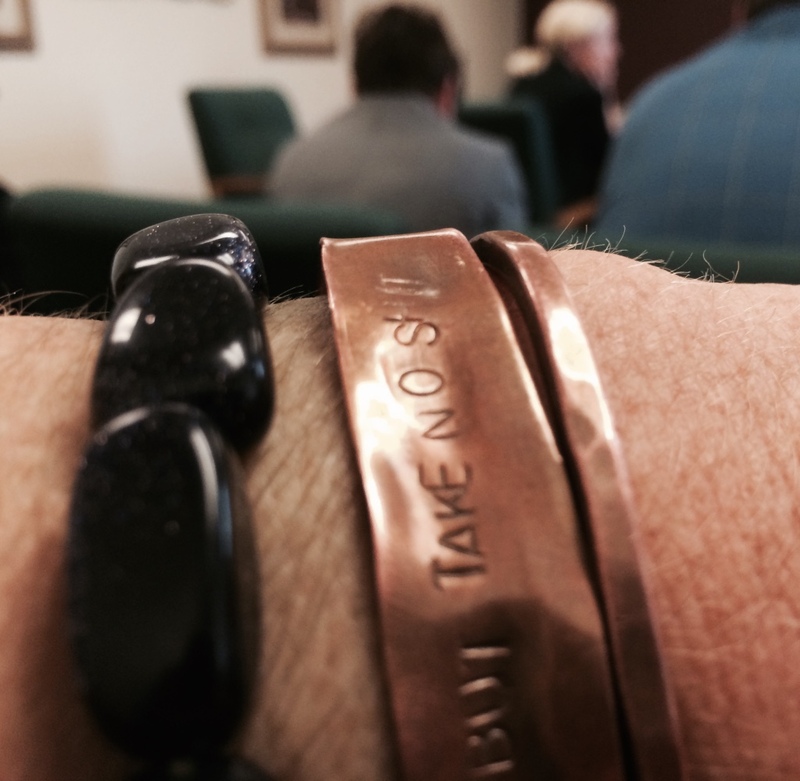 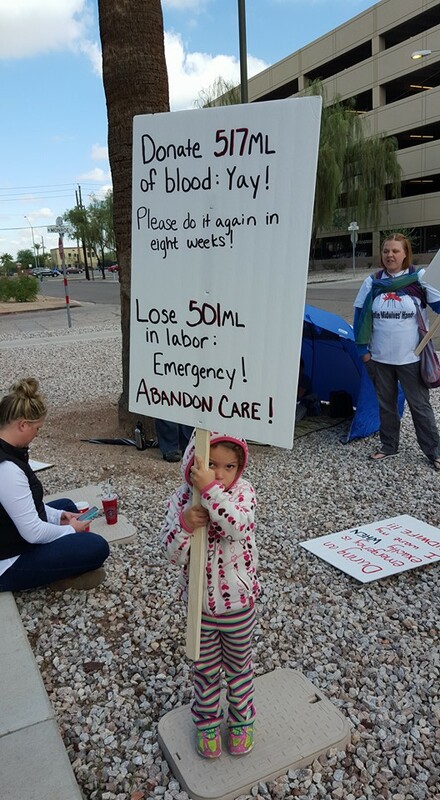 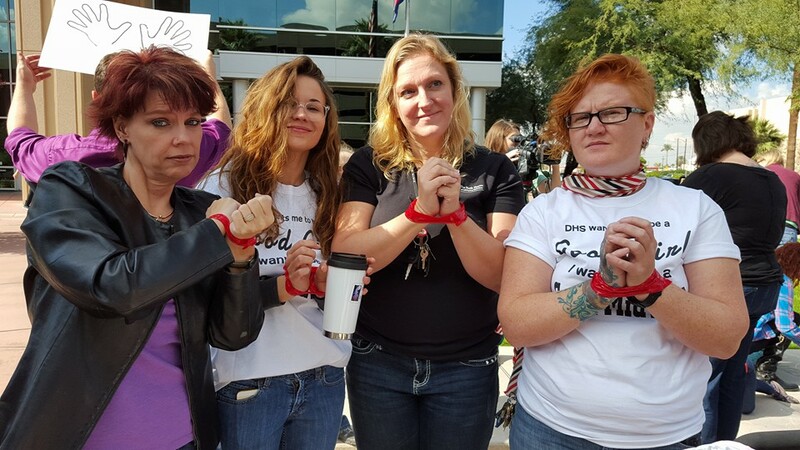 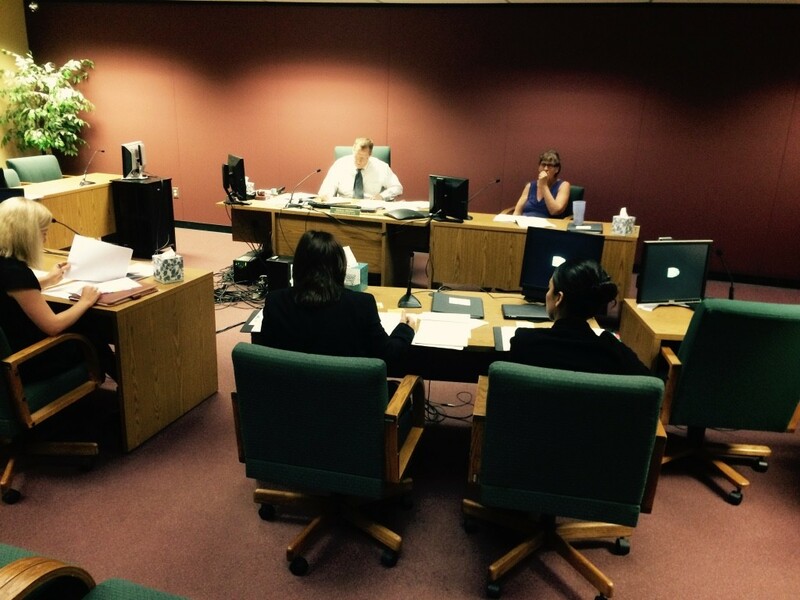 Last week we saw a landmark event take place among the midwives of AZ and the Dept of Health. 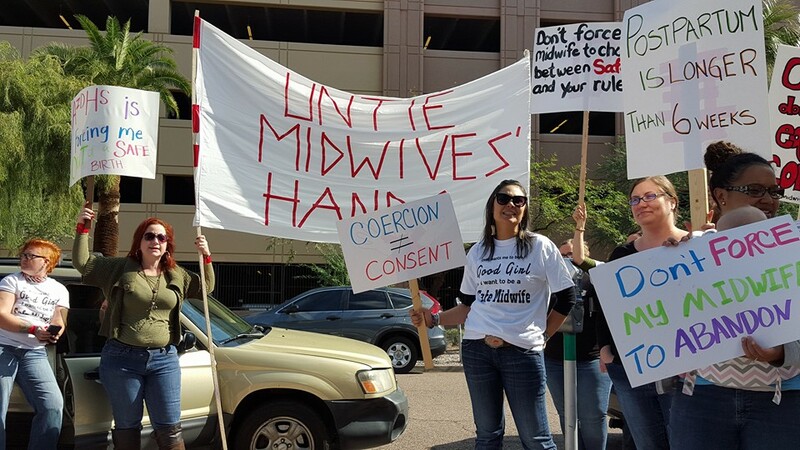 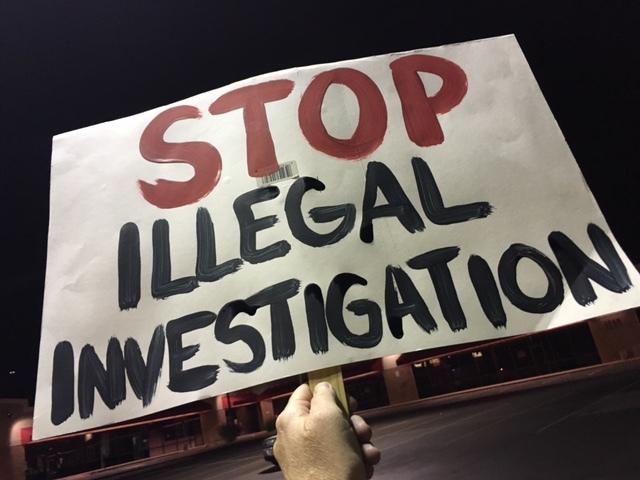 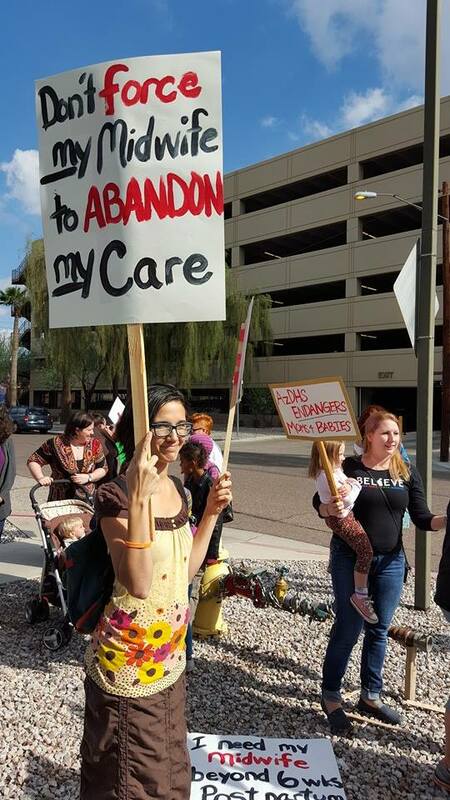 After years of watching AZ midwives try SO hard and without much success to create change by working with the AZ Department of Health, we have finally stood our ground and said that we will no longer stand for their inappropriate and illegal management of midwifery regulation. 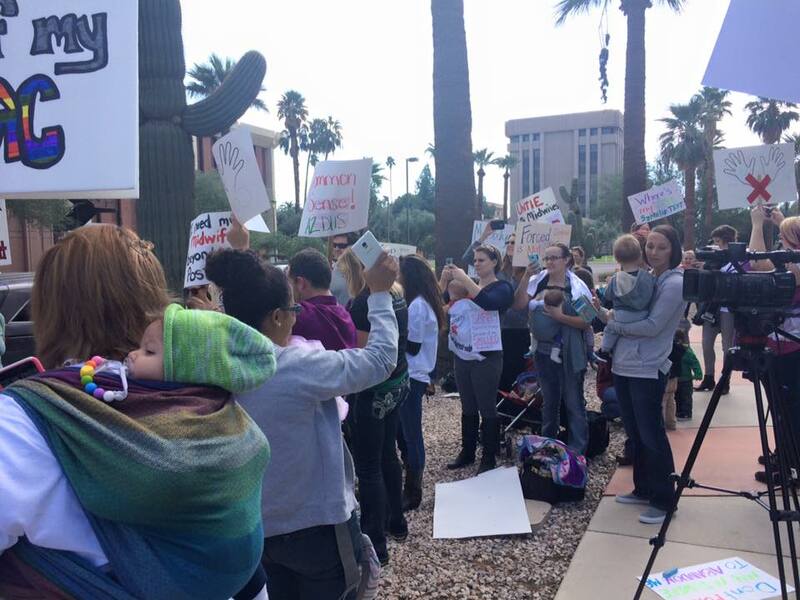 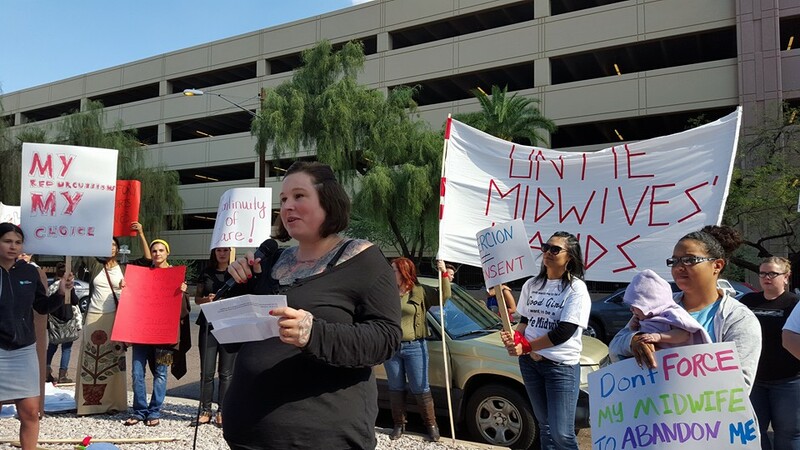 Thank you so much to the midwives, student midwives, doulas, and consumers that stood bravely on the steps of AzDHS as we made this historic announcement. 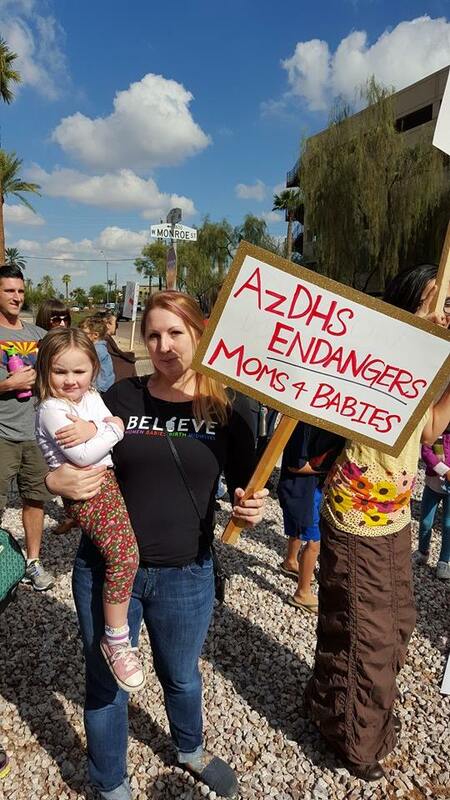 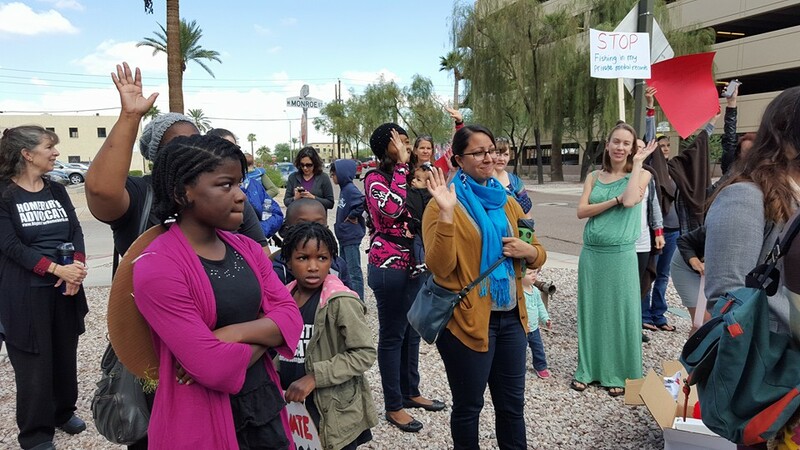 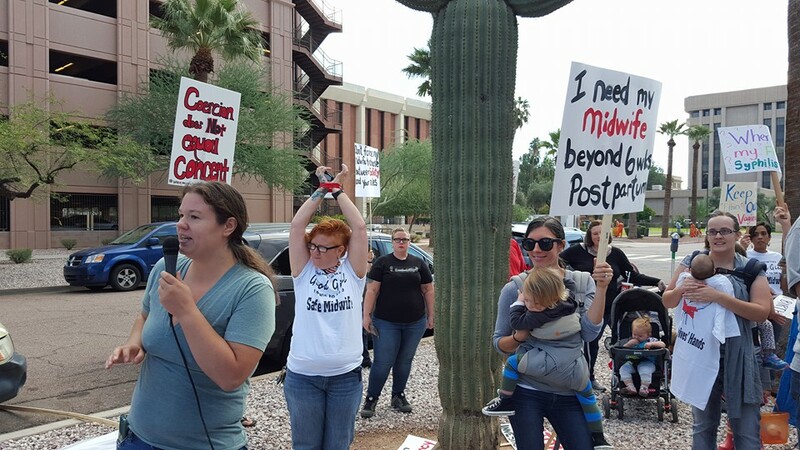 On Thursday, November 5th, with support of midwife members and unanimous vote by the board, AAM filed legal action against AzDHS/Cara Christ. 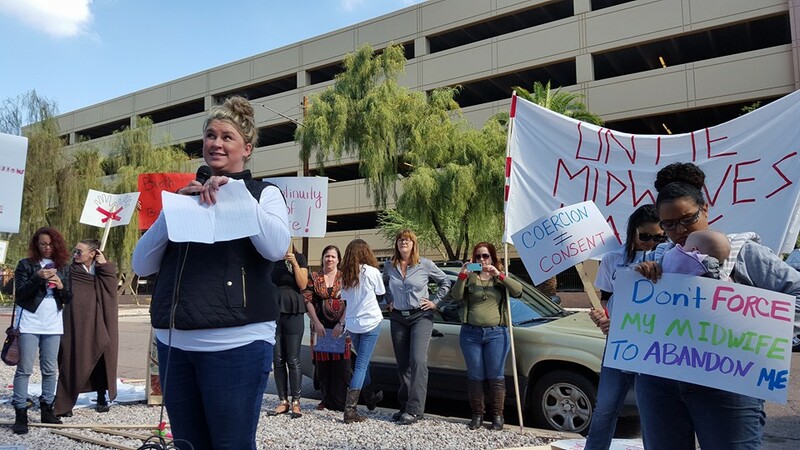 The decision to take this action was a serious one and was not considered lightly. 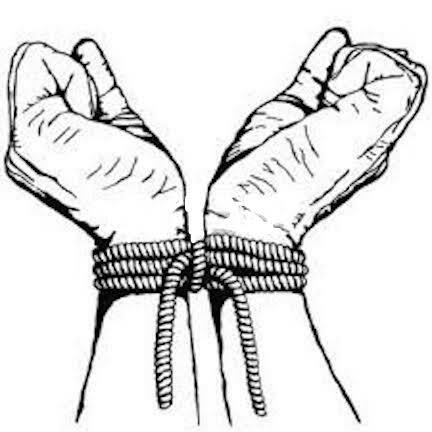 We understand the potential pitfalls but firmly believe the positives that may come out of this action are worth the risk. 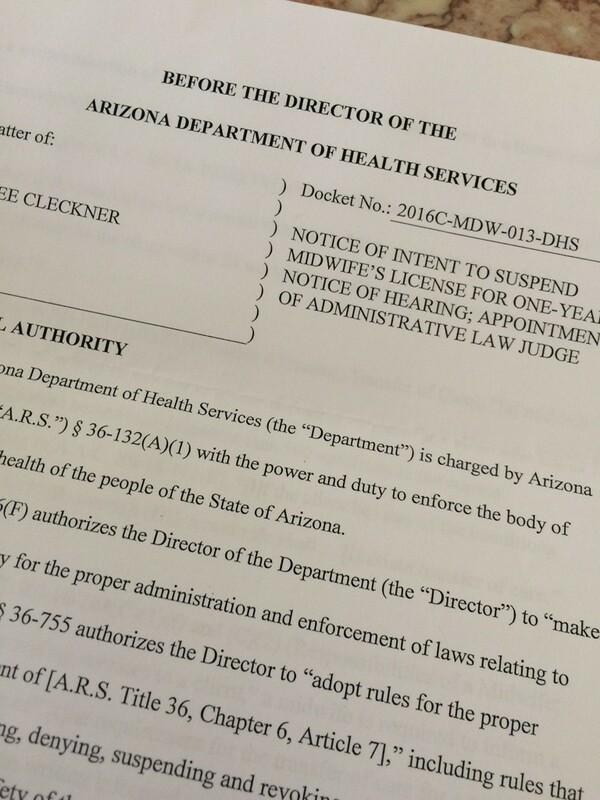 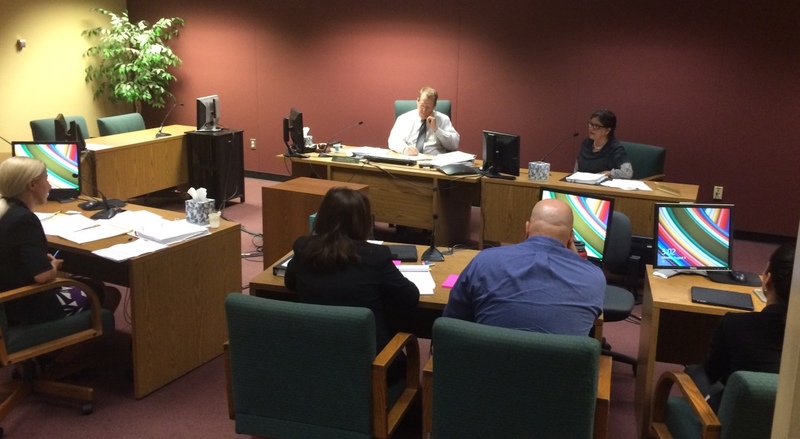 This legal action, called a declaratory judgement, seeks to to four main things. 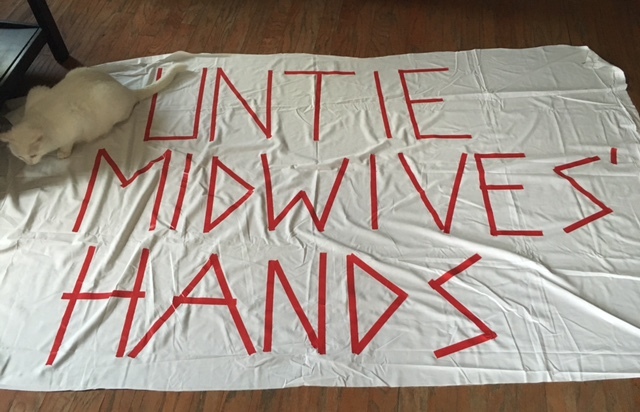 Stop the illegal investigation into midwives charts that contain private health information. 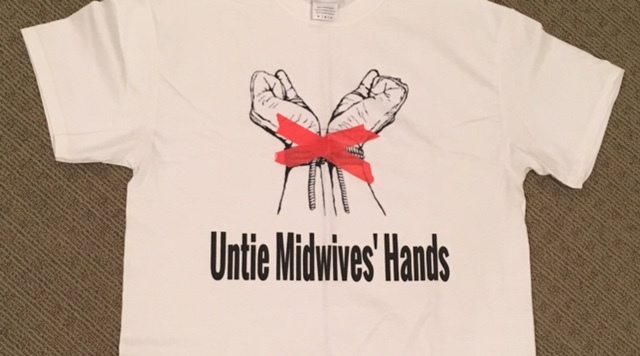 Stop the aggressive enforcement of new rules that illegally reduced the midwives’ scope of practice. 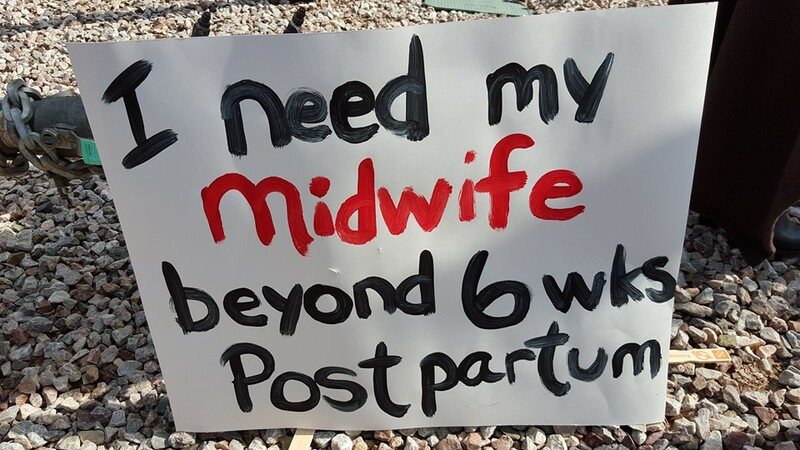 Relieve midwives of the increased administrative burden. 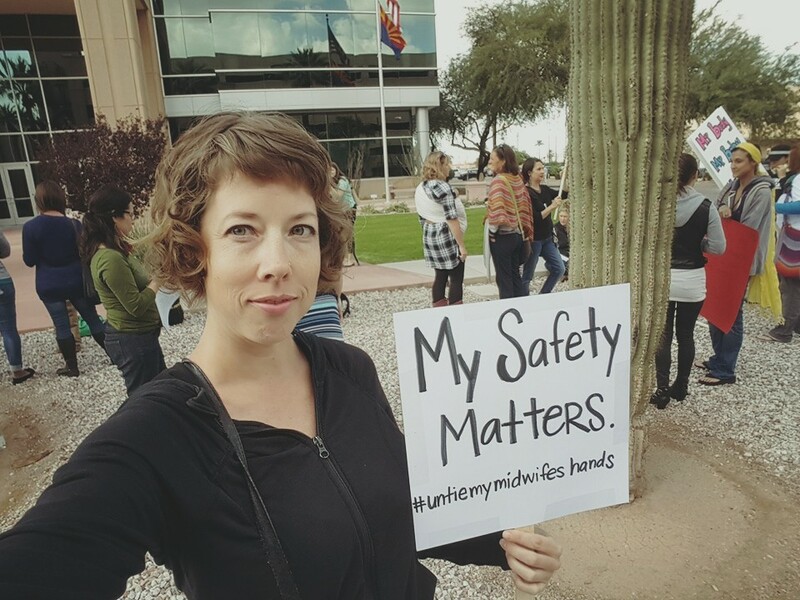 Stop the enforcement of unconstitutional midwifery laws that violate the right t o refuse vaginal exams, STI testing, and medical treatment. 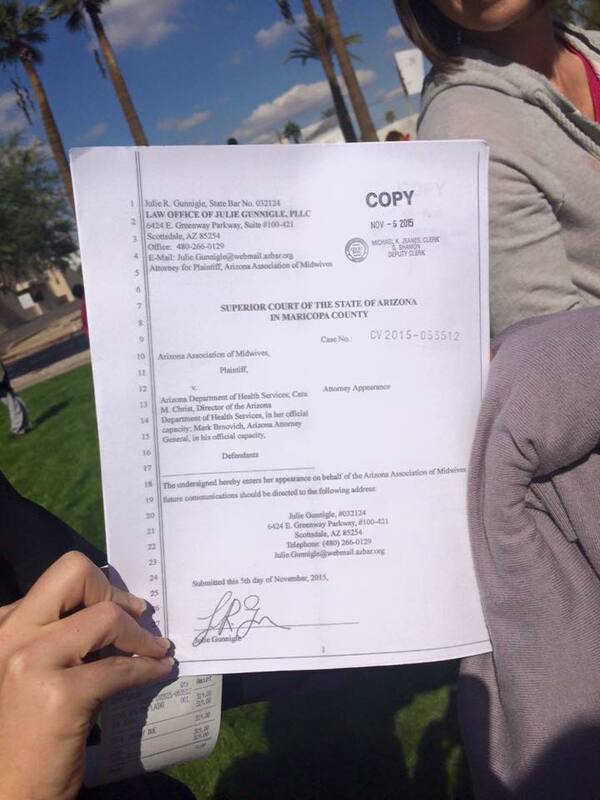 t it will be months before we see the results of this lawsuit.